Our surgery is recognised by the International Society of Feline Medicine (ISFM) as being a Cat Friendly Clinic. This recognition demonstrates our understanding of the unique needs of cats and we’ve adapted our surgery surroundings and practices to cater for them. Encourage timely reporting and early detection of medical and behavioural concerns. Reduce anxiety for the client. Reinforce veterinarian—client—cat bond, trust and confidence, and thus better lifelong medical care for the cat. As well as training our team on the handling of cats, we’ve also worked hard to make our practice as friendly and comfortable as possible for them. Features which should make your cat’s visit less stressful include a specified “cat only area” in our waiting rooms and a number of high tables which help them feel safe and out of reach from dogs. What does our cat friendly status mean? Every Tuesday afternoon 5-6pm and Thursday afternoon 3-4pm, we offer a cat only clinic – this really reduces the stress of your feline friend. We have a cat only section to the waiting room so that our feline patients are shielded from our dog patients and the hustle and bustle of the reception desk. We have tables in the waiting room for your feline friends – this makes your cat feel more secure as they are in an elevated position, it also stops inquisitive furry noses prying into your cat’s box. One of our tables has a draw with a towel you can use to cover your cats carrier and a pheromone spray (Feliway) spray for you to use. Our staff have specialist training in how to make your feline friend feel at home – don’t be surprised if our vets or nurses open your cats carrier on the floor and leave them to roam out and around the room when they feel comfortable – the more they know about the room, the more comfortable they will feel. Don’t worry our consult rooms are secure! Our consultations are 15 minutes long as standard, longer than many other veterinary practices – here at Knutsford veterinary surgery we know how important your pets are, we don’t want you to feel rushed and we want your pet to feel as relaxed and happy as possible here. The extra time in consults lets us get to know your pet, you and any problems they have. Our hospitalisation facilities and equipment are suitable for a wide range of species, including our feline friends. We provide lots of comfy bedding and boxes to hide in during your cats stay. It’s bad enough when your cat is ill without them being stressed out. Our cat only clinics ensure that they get the treatment they need in an environment they find comfortable. Taking the time to accustom the kitten or cat to travel and handling can reduce the stress of veterinary visits throughout the cat’s life. 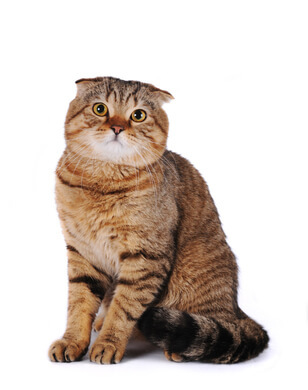 We aim to work with you to develop strategies to prepare cats for positive veterinary experiences. Below are some suggestions for you to take ahead of your visit to Knutsford Vets Surgery. Rehearsing visits to the veterinary surgery with positive rewards and tasty treats will introduce the cat to the practice and being around other people and cats. Reward and reinforce all desired behaviour using our free veterinary nurse appointments. Avoid punishing cats, either physically or verbally, because this can have unintended effects, such as increased or redirected aggression. These allow opportunities to educate about positive handling of kittens and to help familiarise your pet to different people and a variety of positive situations. Doing regular medical procedures at home (eg, administering prescribed parasite prevention). Take kittens and cats on occasional short car rides, beginning at an early age if possible. Locate the cat well before departure on the day of the visit in order to leave on time; encourage the cat to enter the carrier on its own. Bring items that carry a familiar scent for the cat, such as favourite bedding or toys. Notify us in advance if the cat may be easily upset. This will allow us to prepare and make extra provisions, such as moving the cat to exam room immediately or having treats and toys available to distract the cat. The veterinary team may provide flexibility and choice, tailoring the appointment to each individual client and cat, as appropriate. For example, some cats do better with house calls, others do not. Understand the effect of your own anxiety or stress on the cat, remaining calm and reducing any outward display of fear and anxiety. We aim to proceed at the cat’s pace, remain aware of the cat’s responses, and use rewards that encourage desired behaviours, including treats, food, toys and massage. You can find out more advice on how to get your cat into a carrier and how to choose one which is suitable for their temperament in our How to get your cat in a carrier article. The post features a video which talks you through the various steps to help your animal. We also have a range of other advice on how to handle your cat in the Vets Advice section of the site.